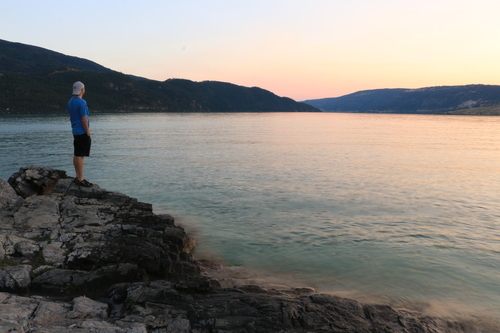 A Vernon filmmaker has released a five-minute movie calling for greater protection of Okanagan lakes from zebra and quagga mussels. “I wanted to create a love letter to Kal Lake and the people who care so passionately about it, as I do,” says Brynne Morrice. Production of the short film was made possible by a grant from 100 Men Who Give a Damn, a Vernon organization that supports worthwhile causes. Morrice hopes his film, as well as the campaigning of others, will convince the B.C. government to increase funding for zebra and quagga mussel inspection stations around the province’s borders. “I hope people take this film, make it their own, and spread it far and wide,” Morrice says. The invasive mussels, common elsewhere in North America but not yet detected in large numbers in B.C., have the potential to clog aquatic infrastructure, upset marine ecosystems and make beaches unusable. Currently, only one of the inspection stations, where vessels being towed into B.C. are checked for the mussels, operates around the clock between April and October. Morrice believes the other stations should also be operated at night to further lessen the chance boats being towed into B.C. arrive with mussels on their propellers or hulls. To see the film, go to protectourfreshwater.ca.